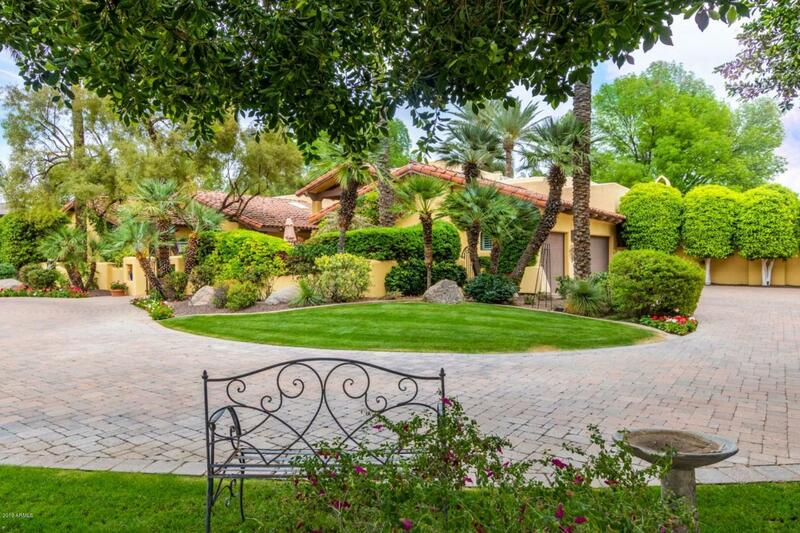 A very special PV property located on a spectacular one acre, private, cul-de-sac lot. Remarkable grounds rival many resorts. The backyard is highlighted by an oversized heated pool, spa, stream and lagoon. It also features two large waterfalls, a rock slide, island, sport court, custom children's play gym, fire pit and a Ramada with built-in BBQ and sink. The multi-level rock grotto provides numerous places to play and relax. 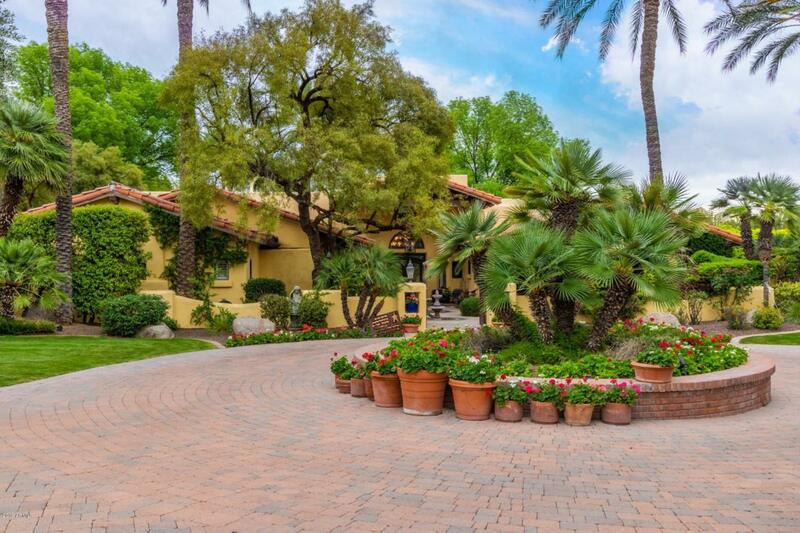 Mature Palms, citrus, flower beds and large grassy areas abound. Rose covered Arbors frame two sides of the home. 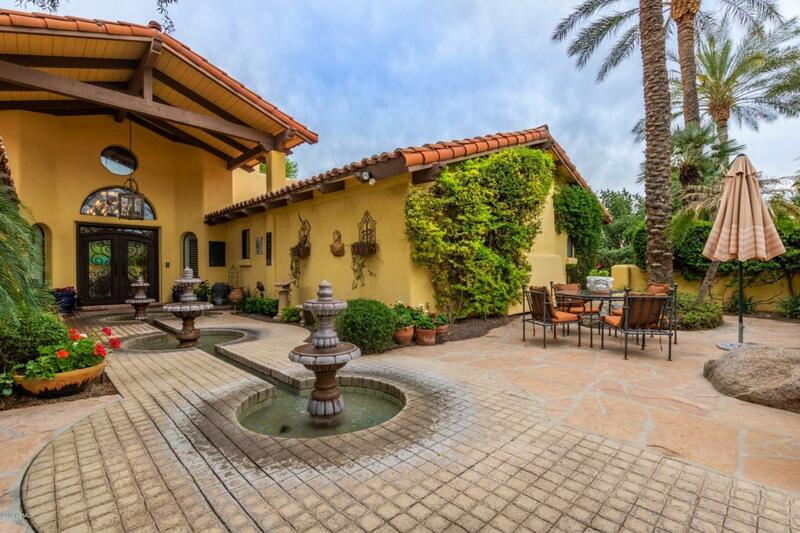 Multiple courtyards and fountains throughout the property add to the serene experience. The home is set back from the street. 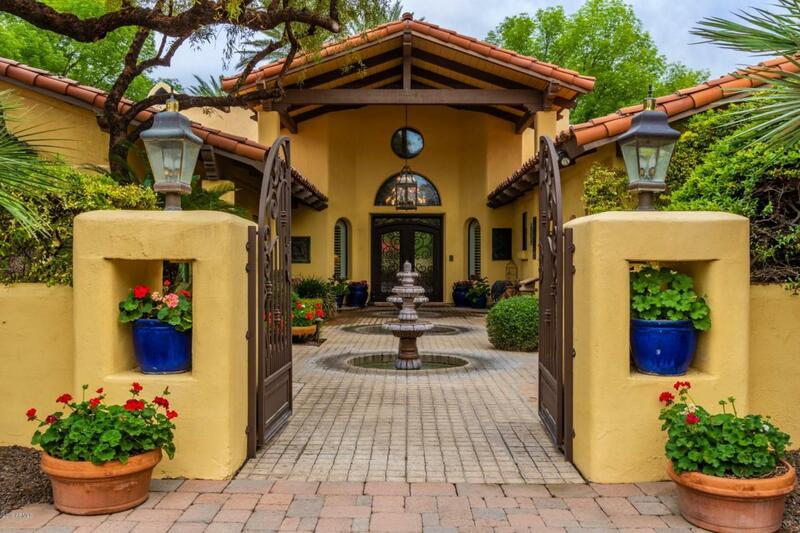 A large pavered circular driveway leads to a private gated entry which features three fountains and a spacious private courtyard.